After a long, dynamic process of selecting the best of the brightest students that usually apply for IPKO Foundation Scholarship, we were happy to announce the winners of the 6th round of Next Generation Scholarship Program. Out of 215 applications that we received in total, there are 21 winners coming from various universities in Kosovo such as: UP, AUK, UBT, IBCM, ESLG and ISPE and mainly from cities like: Prishtine, Gjakove, Peje, Vushtrri, Kacanik and Viti. After that process, it was about time to meet and celebrate the scholars’ success and expansion of IF community. In a lovely evening on 3rd newcomers, past scholars, application reviewers and other valuable partners met to share their experiences and express their digital visions with one another. Besides the dinner and socializing part, certificates were distributed to scholars as a recognition of their achievements, engagement, creativity and work. Our supporter and partner, IPKO Telecommunications gave a generous present for all winners – 1GB of 3G Internet each month, for a year is what will connect even further our scholars to the digital world they love. We at IPKO Foundation felt happy to have contributed once again in further academic development of Kosovo’s youth with much potential and intellectual capacity. The importance of this was highlighted in a speech by our founding board member Teresa Crawford. 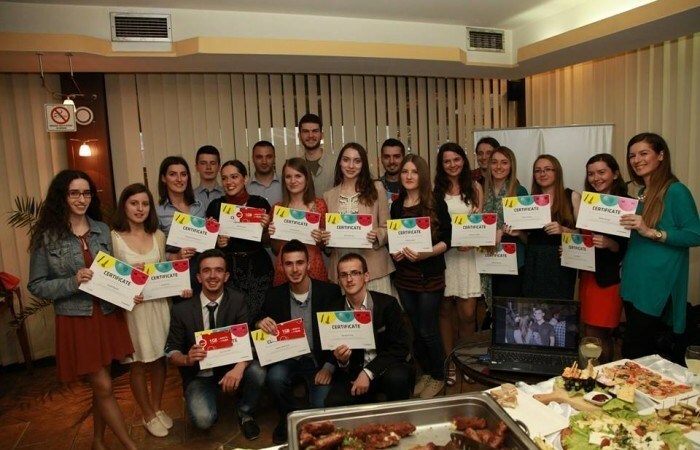 This is the sixth time that IPKO Foundation supports students who possess a digital vision for Kosovo. Since 2009 we have invested more than 280,000 Euros dedicated for the scholarships. Therefore, if you consider yourself visionary enough to come up with an innovative idea on digitalizing Kosovo, we strongly encourage you to start working from now because next year you may be one of the scholars! We will not stop working to add more bright students to our excellent community.